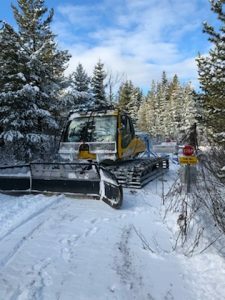 All trails have been groomed and are in superb shape. Carson Cabin to Letter O will be cleaned and Groomed next week. Please beware of equipment on trails. We have had a few inches of fresh snow this past week. Hope you are able to get out riding this weekend.